Last summer I spent quite a bit of time following bees around the garden with my camera, (Yes, I know, get a life!) and I became a little obsessed with them. 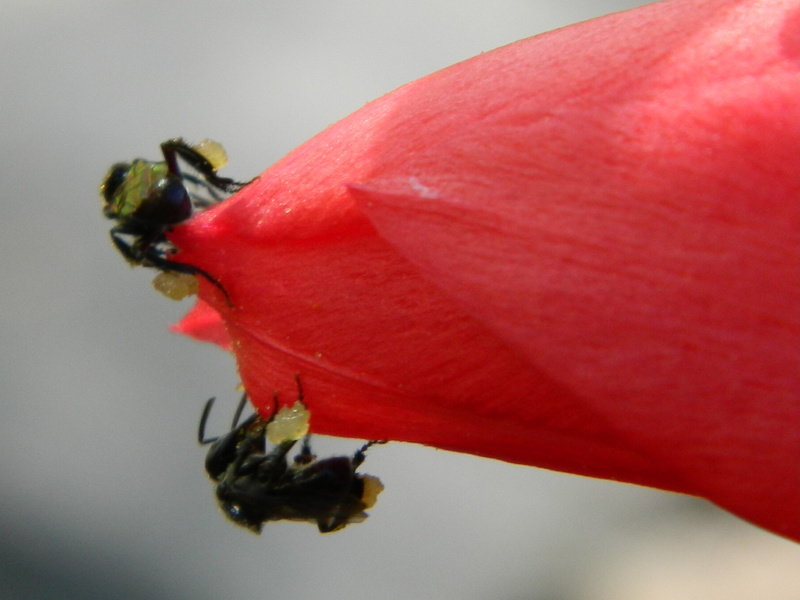 So I was quite excited when I heard that there was to be a one-day native bee workshop in Bellingen. It’s hard to imagine that such a small town could draw a crowd of thirty enthusiastic people, each prepared to pay $50, bring their own group lunch and to sit and listen to hours of bee facts, but that’s exactly what happened yesterday. I won’t bore you with too many facts but, these tiny creatures, less than 5mm long, don’t sting, they pollinate our plants, they don’t abscond in a swarm, and their honey has strong antibacterial properties. There are only two problems … they don’t make much honey, so if you are a big honey eater you’ll need a few hives, and they only survive in pan-tropical climates. 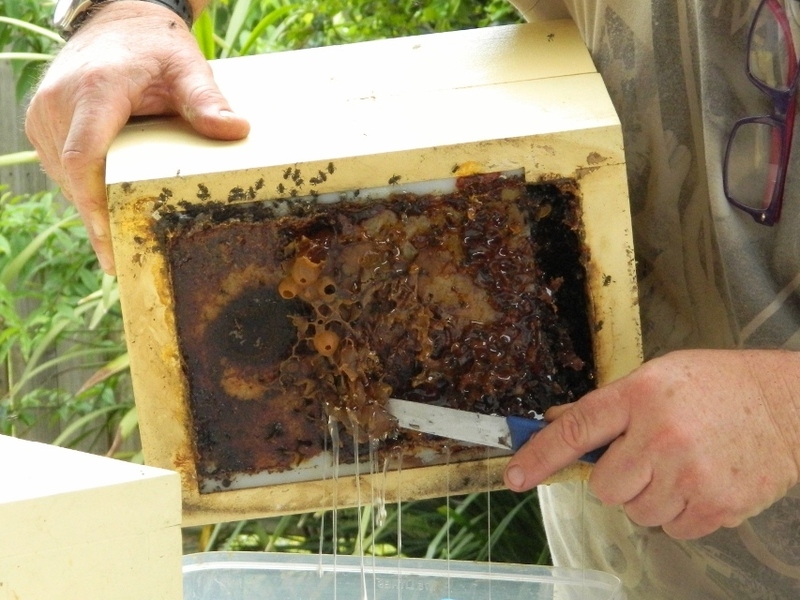 Our enthusiasm grew as the day progressed and we watched as hives were split and honey drained. The workshop finished with a taste of native bee honey drizzled over vanilla ice-cream. The light citrus flavour of the honey was a delicious contrast to the richness of the ice-cream. That was when I decided that I just HAD to have a hive. A Christmas present from me to my garden. 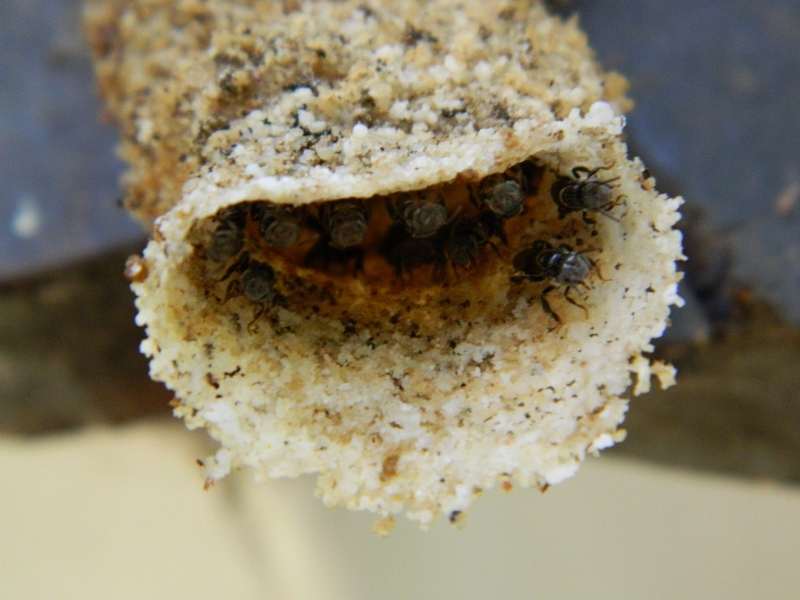 And … interestingly, I now realise that when I was in Sri Lanka I photographed a native bee hive near the beach at Mirissa.